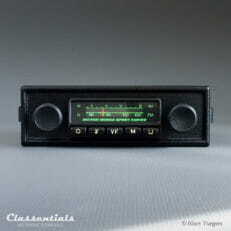 Becker auto radios are world renowned for their top-class quality and high-end sound rendition. 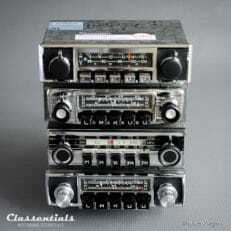 In the 1960s, 1970s and 1980s Becker radios were offered as a factory option in Mercedes-Benz cars. Becker auto radios were usually fitted in exclusive automobiles of the period. We distinguish the top end Mexico, the high-end Grand Prix and Europa Becker radio’s and the standard class Monza and Avus models. The latter models and especially the light and compact Monza were found in many sports cars of the late 1960s and 1970s. Latest news: Becker radios currently in repair / service and refurbishment. Becker Europa TR, Becker Mexico Vollstereo Cassette, 3 x Becker Grand Prix, Becker Grand Prix Stereo, Becker Europa and Becker Europa II Stereo. These exclusive Becker radios will be available in April / May 2019.